One of the quickest and inexpensive ways to update the look of your entire apartment is to give it a fresh coat of paint. New paint can produce dramatic results, taking your home from drab to glam. This is a fairly quick and easy project that you can either do yourself or hire a contractor. If you do the work yourself, your cost will typically be under $200 for paint, brushes, rollers, drop-cloths, etc. However, cost of hiring a painter is what may homeowner want to know. In this guide we will cover in depth, how much painter charge to paint a room, a whole apartment/condo/house, repair wall cracks, cover furniture, etc. We compiled the latest contractor labor and materials pricing for interior painting, along with the cost of going DIY. 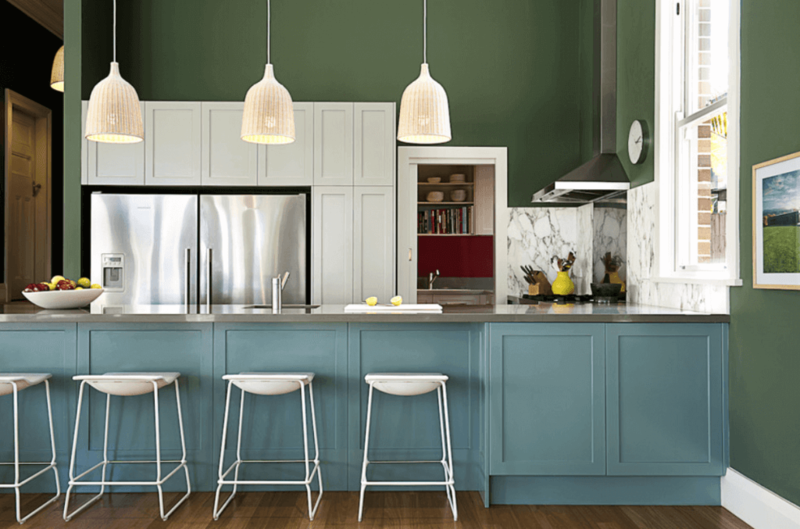 The cost of professional interior painting varies greatly and depends on a number of factors that we will discuss below. Depending on where you live, expect to pay to pay $1400-3,665 to paint an entire apartment of about 1,500 sq.ft. with 8 ft. ceilings. This estimate includes labor, materials (2 coats of brand name paint, such as Behr and primer). Excluded are windows, trim, doors, removal of wall paper, moving/covering furniture, and any wall repairs. Remove Wall Paper: $350-500+ The cost to remove wall paper greatly depends on the type and condition. Often, this job can double the total interior painting cost. Paint Ceiling: $100-130 If your ceilings are higher than 8 ft. you should add an additional 9% to the base price for each additional foot. Cathedral or vaulted ceilings will cost considerably more, given the extra preparation time needed to set up staging. 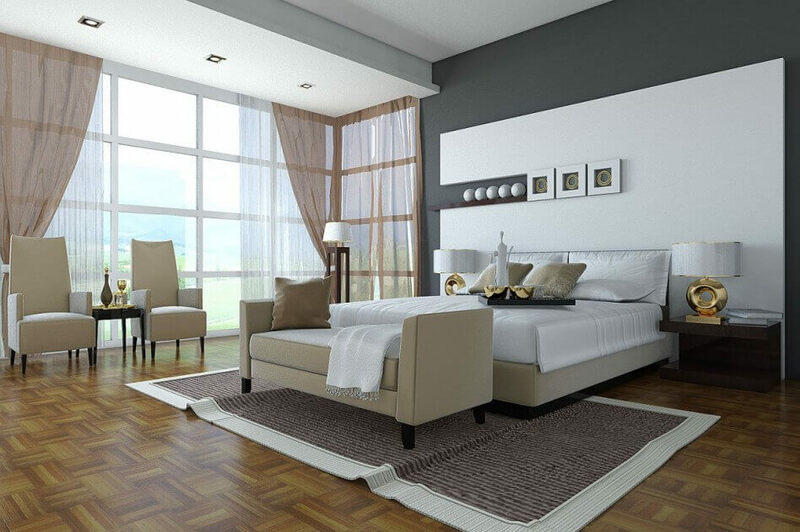 Typically, a professional painter will either charge you per sq.ft. or per room. Its best to stay away from contractors who charge less than the low end pricing quoted below. Most likely these are not licensed contractors with little or no experience. We recommend asking both for license and at least 3 customer references from painters you are interviewing for the job. Also, remember that the estimates you get will vary greatly depending on your location. If you live in a high income area, such as New York City or San Francisco, contractors will charge significantly more for their labor than the national average. Conversely, if you live in an area with a more modest income distribution, such as Houston, Texas, you will pay a lot less for professional remodeling work. To get the best price, get in touch with at least 3 local pros. You can expect to pay $1.50-3.50/sq.ft to paint walls only. If you want to include trim and ceilings, expect to pay $3-5/sq.ft. Its important to realize that if you only want a small area painted, your cost/sq.ft. will be higher than if you were looking to paint a bigger area. This economies of scale is present in the majority of home improvement projects done by contractors, because they need to include the cost of overhead and prep/clean up time in all jobs, both large and small. This means you will be getting a much better deal if you hire someone do paint your entire apartment, as opposed to just one or two rooms. 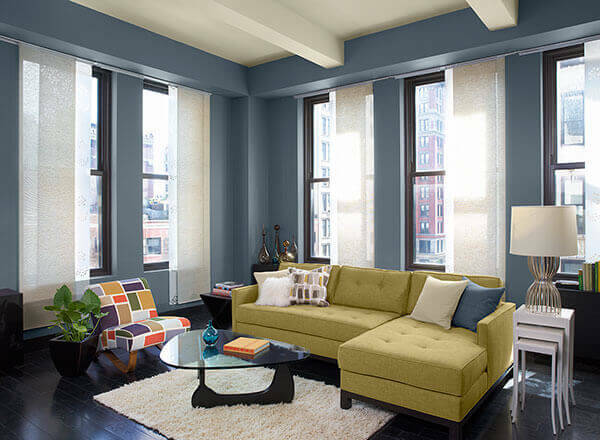 If you decide to repaint your apartment yourself, you can save A LOT of money. You will need to pay for primer, paint, and supplies (brushes, rollers, tape, drop clothes, ladder, paint tray etc). In total, you can expect to spend $200-300 on paint and supplies for an average size room. $12-50/gallon, depending on the quality, brand and paint type (flat, semi-gloss, gloss). Designer, high end brands, such as Farrow and Ball can cost as much as $95/gallon and up. We recommend investing in the most expensive paint you can afford. You will enjoy more beautiful, rich colors, it will last longer, and because its better quality, you may only need 1 instead of 2 coats. $7-15 can. You will need at least 2 coats of primer to make sure that the old wall color will not interfere with the new one. If you are putting a lighter color over a darker one, you may require 3-4 coats of primer. We recommend investing into good quality brushes and paint roller covers, as these will greatly impact the ease of application and the finished look of your walls. Cheap rollers covers will leave ugly fuzz on the walls, and cheap brushes will leave streaky marks. To avoid the frustration and disappointment spend a few dollars more on these items.